As the Vistara Gold benefit was revoked from HDFC Infinia from March 15th 2019, HDFC Bank has replaced this benefit with Club Marriott Membership. The Infinia card holders on-boarded on or after 20th March 2019 will be sent an SMS/Email with the link to request for the Club Marriott membership. Remember, Club Marriott membership that comes with HDFC Infinia is different from the other bank cards like Axis Bank Select or even the membership’s sold by individual hotels. 2 certificates – 30% off on accommodation on the Best Available Rate on the base category of rooms. Up to a 20% off on the Best Available Rates on rooms at participating Marriott hotels in India and on Weekend Rates in Asia Pacific. Up to a 20% off on the food and beverage bill at the restaurants. Select hotels offer a 15% off. 2 certificates – 20% off on select treatments at the Spa from Monday to Friday. This benefit is valid for one guest. If you’re into Marriott, this is going to be a very good news for you. I can easily put a value of ~Rs.10,000 for the upgrade & 30% off on room vouchers alone. That’s a pretty nice value for a card with a fee of this range. While Vistara Gold used to be an amazing opportunity to get upgrade vouchers & elite tier benefits, Club Marriott is equally good and is infact better in some aspects. 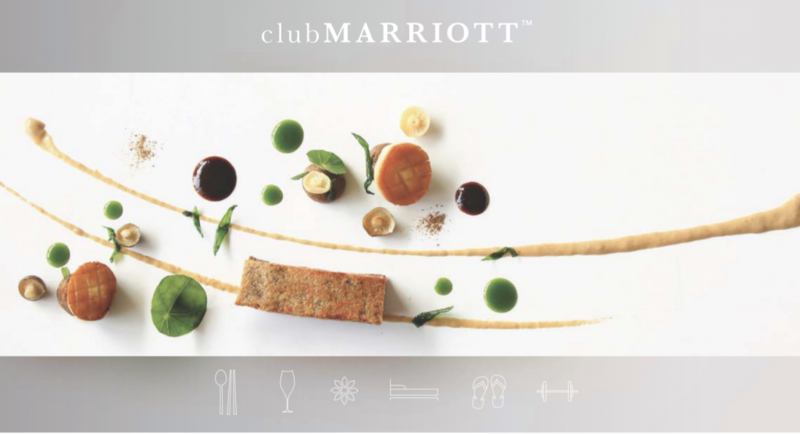 What’s your take on the new Club Marriott membership that comes with new HDFC Infinia Cards? Unless you’re Plat, I still see #1 & #2 does makes sense. Thank you Sid. Detailed T&C link is not working. Hi don’t u see existing gold / plat members already enjoying Point 1. I think 30% rate difference is only for 2 bookings. But it’s good. What about breakfast benefit with room booking? Is this the same as Bonvoy? If yes then what level status is this? bonvoy is a tier based membership. A better comparison of club marriott would be the accorplus membership, but that comes with food discounts up to 50% off. If I upgrade my Black to Infinia then will I get the Marriott Club benefit? Or is this for net new customers? How this is different from Marriot membership offered by axis? I am Marriot platinum elite and still brought axis select via axis burgundy only for the Marriot benefit. In fact, axis select Marriot membership is giving you one 50% off coupon which is very helpful. From HDFC, DCB is THE best card as long as they have 10X program. Don’t know why you need HDFC Infinia. Just my thought. @Hrishig- DCB acceptance issues abroad and even in India, separate Visa Infinite perks, 30% off yacht booking, Hilton Honours Gold tier jump, 2% cashback as RP over and above the fx markup charges, Infinite discount offers in Malaysia, Japan and Germany, BMS offers to name a few etc. were my reason to take Infinia over DCB. Infinia has a higher personal accident and medical insurance for international trips. There are some nasty acceptance issues with Visa Infinite based offers too. In Russia I was able to use any of the special Visa Infinite shop offers “Tax free Shops and local stores” because they require the card to be issued from certain places only. But I agree dinners is a gone case was only able to use it in the airport tax free shop that’s it and that’s across Russia. Bought the same card from Aero City JW for almost 25k in 2018. Sadly it does not work much outside Asia-Pacific and some parts in UAE but still worth it if you use the discount for food in international hotels. Tried to use it in America and Russia but nothing was gained. Check its website for participating hotels.